If you have not registered, Register Now. 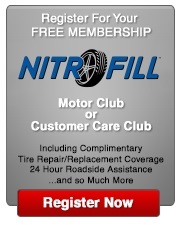 NitroFill is the world&apos;s leading manufacturer of nitrogen generation and inflation equipment and a premier provider of tire related supplemental products for the automotive market for over 14 years. ©2018 NitroFill, LLC. All Rights Reserved. Developed by Lion Five Studios. ©2018 NitroFill, LLC. All Rights Reserved. Developed by Lion Five Studios.